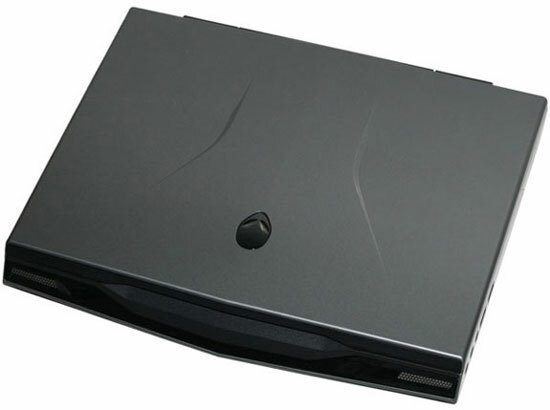 The Alienware M11x first hit headlines in January at the 2010 Consumer Electronics Show. Even without testing the unit, we could see that there was some real potential in the component selections. ASUS already showed us with their UL series that overclocked CULV processors can easily cope with most modern games, provided they have a GPU that is up to the task. The UL series uses GeForce G210M graphics cards, and while they’re substantially faster than any current IGP solution, they still struggle with running many games at anything more than low/minimum detail settings. A faster GPU is necessary for higher quality settings, but where exactly does the bottleneck shift from the GPU back to the CPU when we’re dealing with overclocked CULV? The M11x looks to answer that question by going with a rather potent GeForce GT335M. Like the G210M, the GT335M supports DirectX 10.1 functionality and is built on a 40nm process technology. That’s where the similarities end. The GT335M bumps the SP count from the 16 in the G210M all the way up to 72 SPs, providing much more computational power; similarly, the memory interface is 128-bit instead of 64-bit. The actual core and shader clocks on the G210M are slightly higher: 625 core and 1500 shader versus 450 core and 1066 shader on the GT335M; memory speed on the other hand is bumped from 1600MHz to 2133MHz. The result is that the GT335M has 166% more memory bandwidth and 224% more computational power… all with the same overclocked CULV SU7300 (or SU4100) processor as the ASUS UL series. Of course, the GT335M isn’t the only game in town when it comes to faster mobile GPUs. We recently reviewed the ASUS N61Jv with an i5-430M CPU and GT325M GPU, so that will be an interesting matchup from the performance standpoint. GT325M cuts the SP count down to 48, with a slightly lower shader clock as well, but it has the same memory bandwidth. With 63% more computational performance, the GT335M should be noticeably faster than the GT325M, but GPU memory bandwidth is often the bigger bottleneck on 128-bit GPUs and the N61Jv CPU is substantially faster than an overclocked SU7300 CULV. In games that are CPU limited on the M11x, we’ll see the N61Jv come out ahead (or at least close the gap), whereas GPU limited games should still prefer the M11x. Of course, there’s no getting around the size advantage of the M11x: it weighs less and has a chassis that’s much more portable. Really, there’s no competition for the M11x unless you’re willing to move to a 13.3” chassis. In that case ASUS has the UL30Jc, but that has a G310M GPU (a 2% higher shader clock than the G210M) so it’s still a big step back in terms of gaming potential. The base model M11x comes with 2GB DDR3, a 160GB 5400RPM hard drive, and a Pentium SU4100 processor. Our test unit bumps the CPU up to the Core 2 Duo SU7300 for $100 extra; considering the only difference is 3MB L2 cache (versus 2MB on the SU4100) and support for VT-x (hardware virtualization), most users will be better off saving the $100 for other upgrades. The 500GB 7200RPM Seagate 7200.4 hard drive, on the other hand, is a very welcome addition. It should offer improved performance relative to 5400RPM drives while still providing a lot of storage capacity. The $150 to upgrade the hard drive is a bit steep, though, considering you can purchase the same drive for $85. Finally, Alienware shipped us a system with 4GB DDR3 (another $50), which brings the total price of our system to $1200. Obviously this isn't a cheap laptop, but if you take the base system and just add 4GB RAM (and clone the HDD to your own HDD/SSD when you get it) you can get everything you need for under $1000. The short summary of the M11x is simple: it’s the smallest laptop ever made that can still manage to play games. Really. There’s nothing else even close when you get down to sub-14” laptops, and it can outgame many 15.6" and larger notebooks. Not only can it run every current game on the market, but we managed to get 30+ FPS at medium or higher detail settings in every game we tested! That’s the good news. The bad news is that a great design is once again saddled with a mediocre LCD, and Alienware omitted at least one feature that they really need: NVIDIA’s Optimus Technology. We don’t mind manually switching between IGP and discrete GPUs that much (though it was odd to see Dell’s Data Safe Online Backup utility trigger a block a few times—the toaster.exe process); far more important is that Optimus laptops will get better driver support in the future. We already encountered several games that complained about our drivers (for example, Batman and Left 4 Dead 2) and we suspect things will only get worse. NVIDIA has yet to deliver a Verde driver with Optimus support, but that should come in the next release. If you want new drivers for switchable graphics laptops like the ASUS ULx0Vt series and the M11x… well, don’t hold your breath. Finally, we should mention that while the M11x technically has an 11.6” chassis, a few aspects of the chassis need mention. First, the M11x is about 1” deeper than other 11.6” CULV laptops we’ve looked at, and at 4.4 lbs. it definitely weighs more. Obviously, Alienware had to pack more cooling capacity into the M11x to keep the GPU and CPU from overheating, but they’re dangerously close to the size of a 13.3” chassis. Look at the LCD bezel and you’ll find a large border, particularly on the top and bottom. The M11x uses an 11.6” 1366x768 LCD, but with a few small tweaks we’re confident they could have put a 13.3” 1440x900 WXGA+ LCD into the chassis. The huge bezel area almost makes us think that they put a smaller LCD in the chassis just so they could lay claim to having an 11.6” gaming laptop. Personally, I would have preferred a 16:10 aspect ratio with a 13.3” LCD—besides, even if this were a 13.3” laptop, it would still be over twice as fast as the nearest competitor in graphics power! Minor blemishes aside, there’s still no getting around the fact that this is a very capable gaming laptop with a very small footprint. The total performance on tap should be about equal to that of the Gateway P-6831 FX that we praised a couple years ago. The overclocked CULV processor is faster and uses far less power, and the same goes for the GT325M (though the old 8800M did have a memory bus that was twice as wide). Add in switchable graphics and you have a laptop that weighs roughly half as much and lasts two to four times as long on battery power. Join us as we take a closer look at what makes the M11x tick and run it through our benchmark suite. In case you have any questions for me, I'm very likely not going to be able to respond for a few days. My wife is in labor, and I'll be heading out shortly, so wish us luck! Hope you enjoy the M11x review! Corbin Derrik Walton was born yesterday (March 30) at 2:33PM PDT. Mom and baby are doing fine, and we had a great experience. We used a midwife and delivered at the local birthing center, and after having my first daughter delivered in a hospital I have to say that this was an awesome change--much more intimate and relaxed, and the birthing tub was extremely helpful! This is my second child, but Becky (my new wife's) first, and she was amazing! After around eight hours of labor, she gave birth au natural to our gigantic baby boy: 10 pounds, 4 ounces, and 21.5 inches long! We're back home, I managed to get some sleep for the first time in two days, and mom is trying to do likewise (with less success of course, since there's a big little boy wanting food on a regular basis). Thanks for the well wishes, and thanks for the comments... I'll have to look through them in detail later.